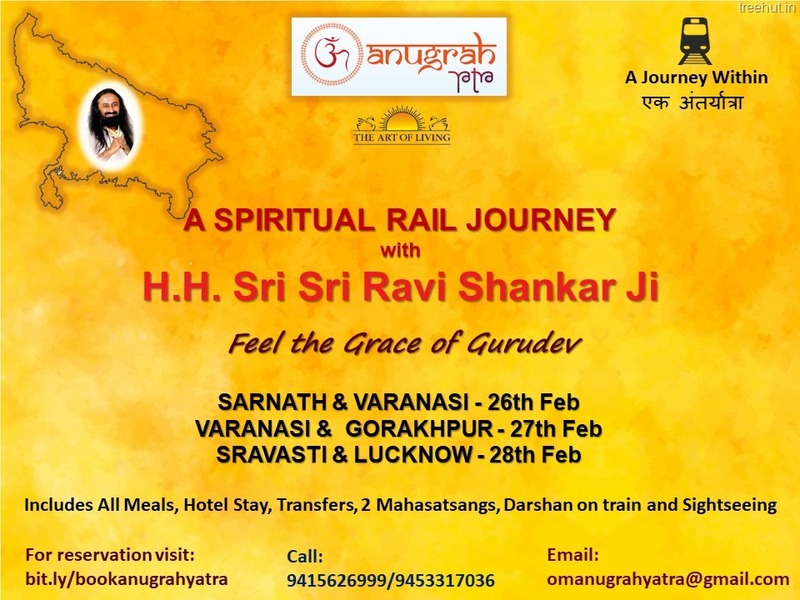 Gurudev Sri Sri Ravi Shankar ji, Founder The Art of Living, will visit the state of Uttar Pradesh, the birth place of Lord Rama and Krishna in February, March 2018. 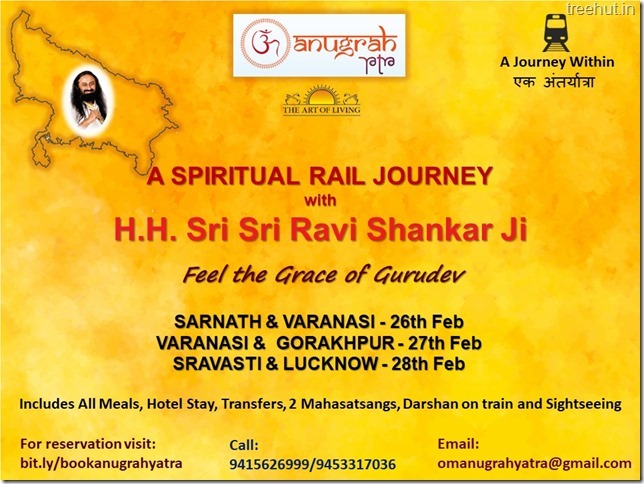 This visit to Uttar Pradesh will be a Spiritual Rail Journey where Gurudev will be starting the journey from Varanasi then continue to visit Sarnath, Gorakhpur, Shravasti and finally end the blessed journey at Lucknow. In between these stations he will get off at several places to bless the ever grateful devotees who will come to seek his blessings from all over the world. www.bit.ly/OmAnugrahYatra or visit us at UP East Apex Body, 1/55A Vineet Khand, Gomti Nagar, Lucknow 226010 U.P. India. Please click on the images below for a larger view.